Wearing shoes that are too tight is often the cause of painful foot conditions, including bunions. 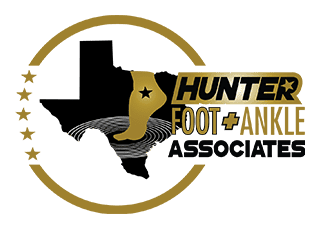 At his podiatry practice in Plano, Texas, Roderick Hunter Jr., DPM, AACFAS, offers diagnostic and treatment options for bunion deformities to alleviate pain and improve your mobility. Dr. Hunter and his compassionate staff focus on your specific needs, creating custom treatment options to address inflammation and deformities in your toe joint. Don’t delay treatment for painful bunions. Call Dr. Hunter’s Plano office or use the convenient online booking feature to schedule an appointment today. A bunion is a painful, bony bump that forms on the side of your big toe joint. These bumps develop over time, putting pressure on the joint of your big toe and forcing it to rub against the neighboring toe. As a result, inflammation affects the joint and the bone begins to protrude from the side of your foot. This deformity can also cause the second toe to move out of alignment. Eventually, the deformity makes it difficult to walk without pain. In some cases, bunions limit the type of shoes you can wear comfortably. In addition to the noticeable bump on the outside of your foot, you may also experience persistent pain when walking if you have a bunion. When pain makes it difficult to stand or walk, or you find you can no longer fit into your shoes, you should schedule a consultation with Dr. Hunter. The primary reason people develop bunions is due to tight-fitting shoes, especially styles that feature a narrow or pointed toe. These types of shoes keep toes in an awkward position that causes the toe joint to become deformed. You may also be at increased risk for developing bunions if you have a family history of the condition, or if you have an underlying medical condition that affects your joints, such as rheumatoid arthritis. Initially, Dr. Hunter recommends nonsurgical treatments that include lifestyle changes and use of orthotic devices. He can evaluate the style of shoes you wear and may suggest changing to a wider-fitting shoe to give your toes more room. You may also need to use custom shoe inserts that provide better foot support. Toe spacers may be useful to properly align your toes. In some cases, Dr. Hunter might prescribe anti-inflammatory medications to minimize swelling and alleviate pain. 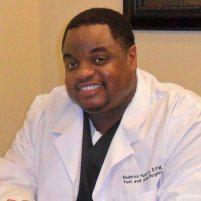 Dr. Hunter might recommend surgery if other treatment options aren’t effective. Surgical techniques can realign your toe bones and joints and repair damage to your ligaments and tendons that may be affecting your toe alignment. Find out more about treating bunions by scheduling an appointment online or calling Dr. Hunter’s Plano office today.